These Etudes were developed to provide music for students that aid in the development of right hand technique. 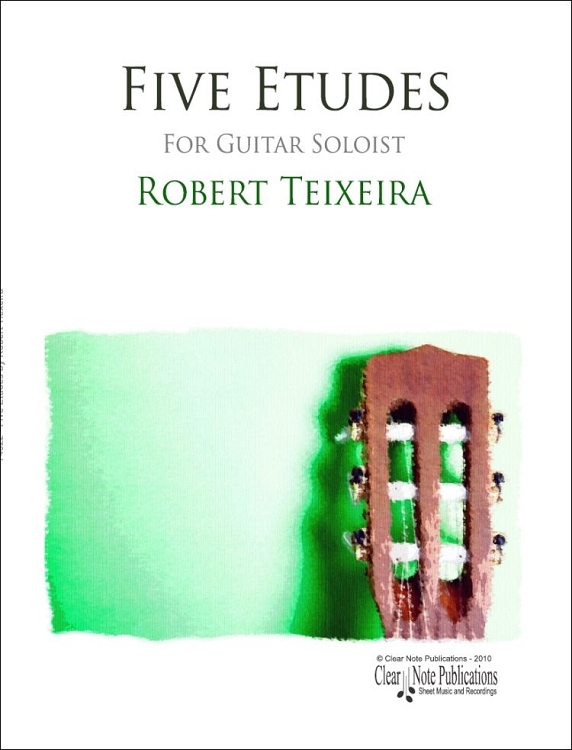 Each etude is based on a singe right hand movement where typical three fingered combinations are utilized with different thumb syncopations giving the music a contemporary feel. 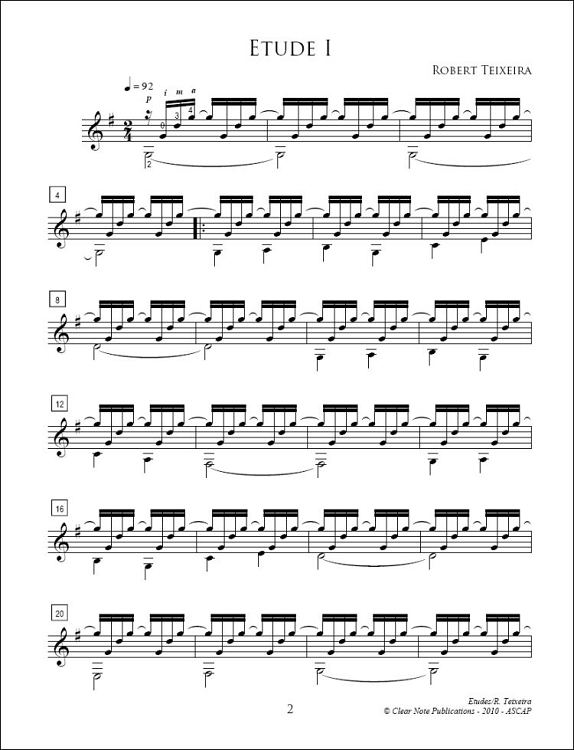 Upper position reading is required and though there are left hand challenges from time to time, they are by design, quick to learn and easy to memorize so that the focus can be on right hand execution. 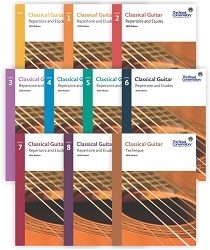 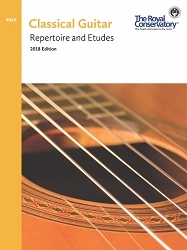 They are particularly useful for intermediate students in transition to classical guitar from other styles but any student involved in right hand development and formative training will find them helpful and hopefully, fun!